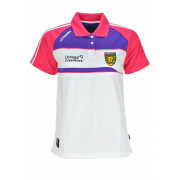 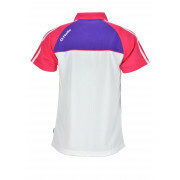 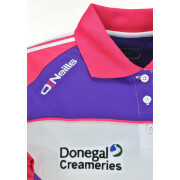 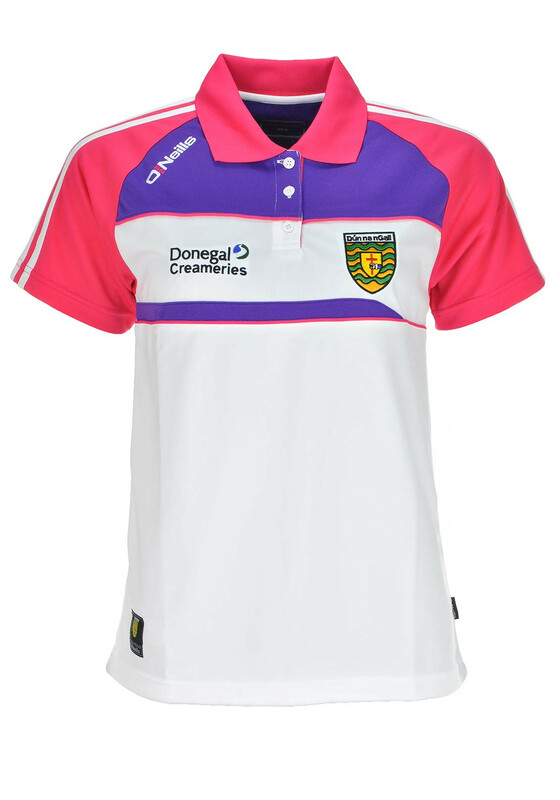 Support all the Donegal teams in style in this short sleeve polo shirt from O’Neills. 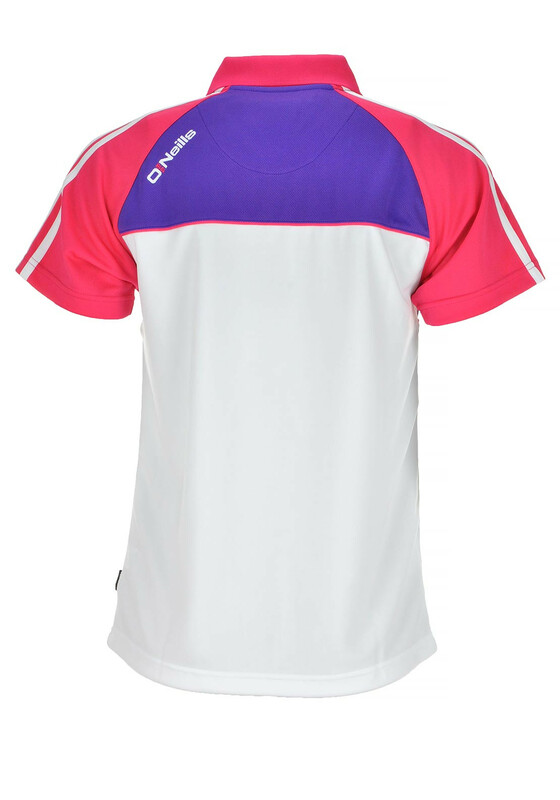 The Shauna top is made from lightweight breathable fabric and features purple panels below the neckline and pink sleeves and collar. 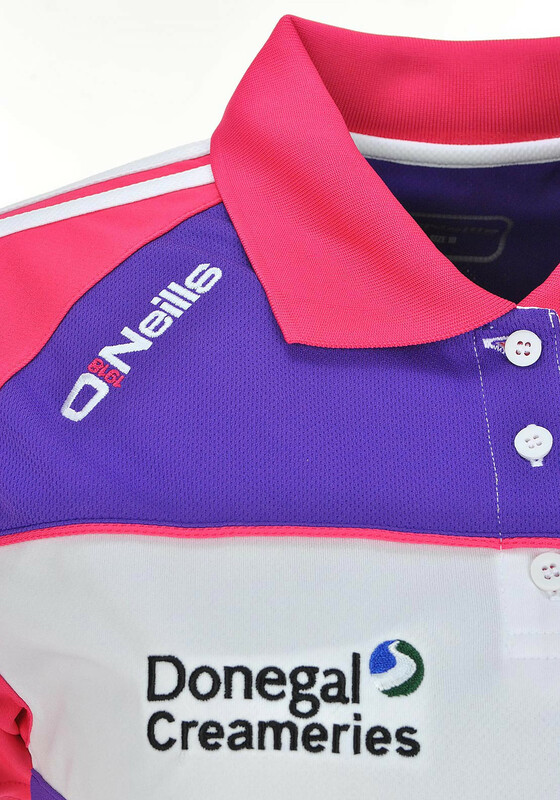 Featuring the iconic O’Neills stripes, embroidered Donegal crest and Donegal Creameries logo and a three button placket.